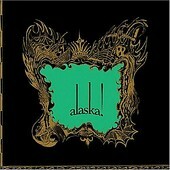 In a matter of one record, Alaska! has gone from Elliott Smith-influenced singer-songwriter pop-rock to a full-on classic rock force. Rescue Through Tomahawk is that record, their sophomore full-length which clearly shines as the band plays loud and fierce. Creating melodies and grooves of yesteryear with a modern, indie touch - but not too indie, because Rescue Through Tomahawk has the prowess to tear up the charts if it makes its way to the right major label. Rescue Through Tomahawk is sharp and stylish, but filled with substance as well. Opener "The Fury of Trees" is rough and tumble, loud and energetic, but leader Imaad Wasif's ability as a songwriter finds the song beaming with a ray of pop smarts shining through the otherwise guitar-rock bed. "Kiss You" is all rock as well, but much like "The Fury of Trees", Wasif is able to infuse the song with a pop sweetness. Same goes for the mid-tempo "C the Shape". And, well, all of the ten tracks on this fifty-minute album. The adventurous "Through the Years" finds the band meandering a bit, as they lay down a subtle groove alongside methodical guitars, reeling you in to its eight-minute journey of loud highs and psychedelic lows. Smart, powerful classic rock is what Alaska! excels at, and Rescue Through Tomahawk is just that. Wasif and his band have created a near masterpiece here, a soaring record that is thunderous and meaty, but also has the intellect to know when to let you have a pop nugget to chew on. I'll give it an A+.